Dogs are the considered to be man’s best companions and one of the most popular pets in the world. 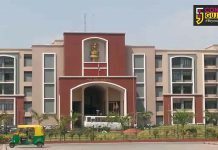 We witness many incidents where they played important role in the lives of humans and help them out in so many ways. However it’s equally important to train them and socialise with other dogs and human beings for a strong bonding. 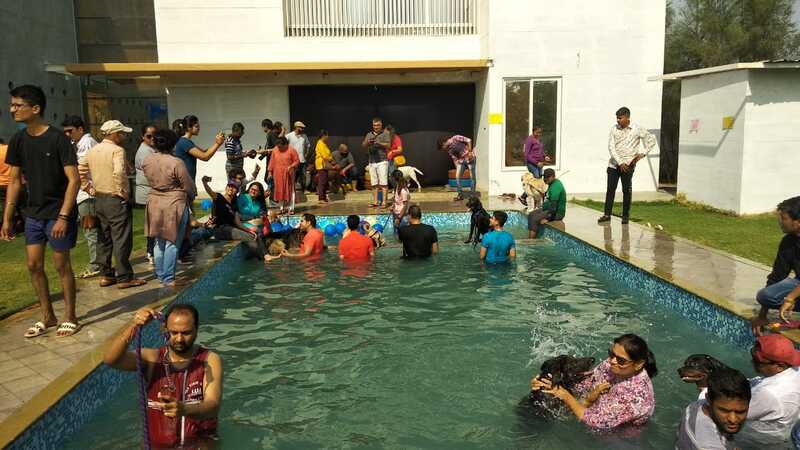 Aap Ka Dog organise once in a year pool party for the canines where they enjoy swimming inside the swimming pool and also able to adjust their aggressiveness with the other dogs. 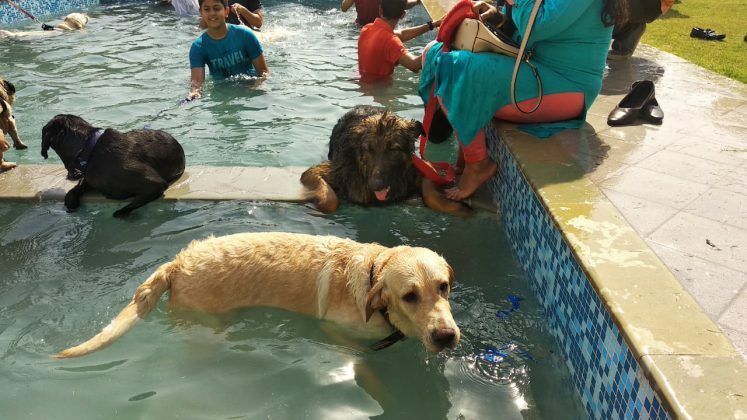 Around 36 dogs of nine different breeds take part in the unique pool party to learn the art of socialising with other dogs as well as humans. 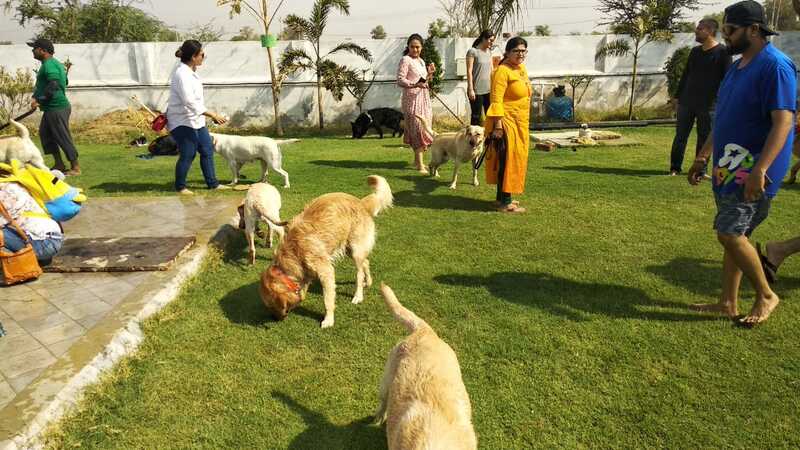 “The aim is to involve the dogs in physical exercise for their fitness and through socialisation managed to control their aggression. 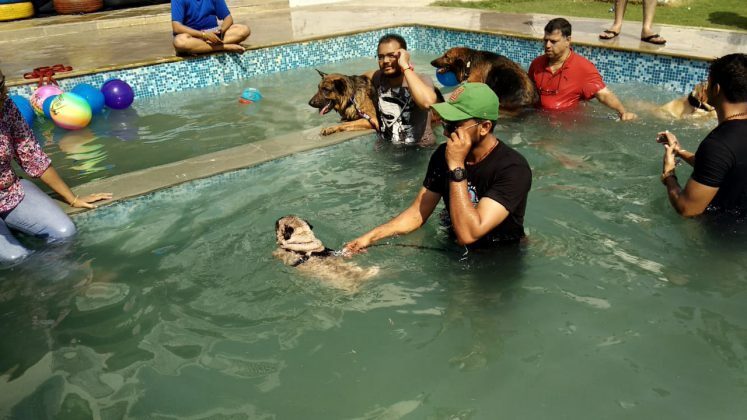 Such gathering help the dog to control it’s aggression towards the other, make them adjust with humans and water without fear and they can managed to roam in open space which lacks in the city areas,” said the organiser. 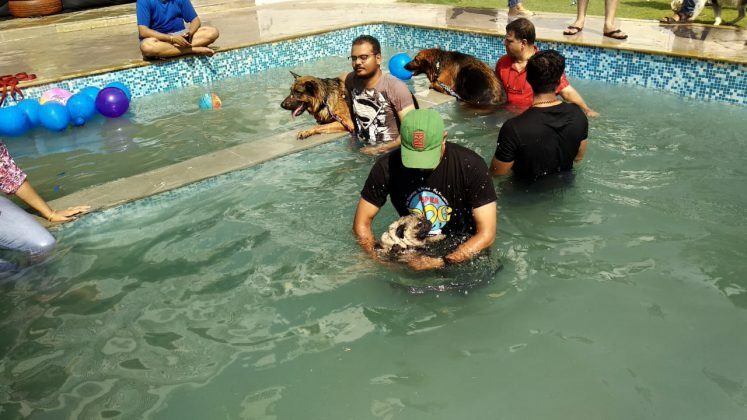 Doctors, per owners, groomers, behavioural tactics experts, trainers and animal welfare organisations also are invited in the pool party for expert guidance and welfare. 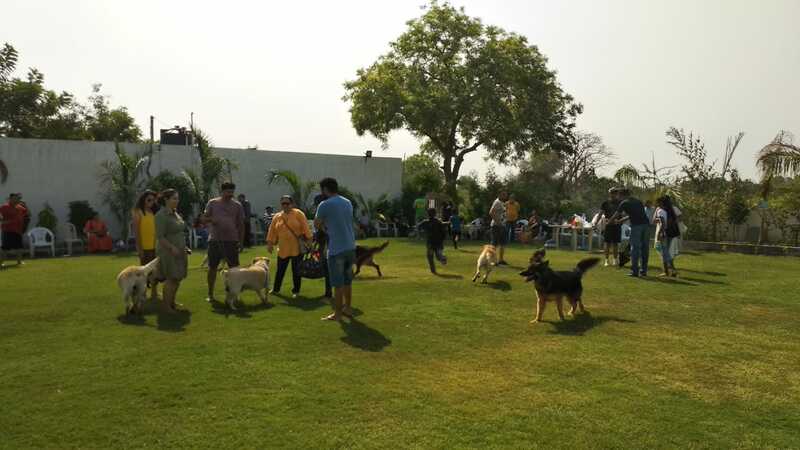 The organisers said 50% of the collections will go to animal welfare agencies. 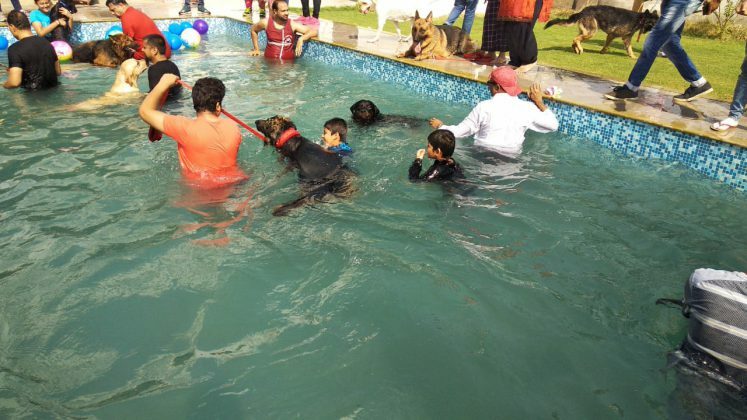 Pet owners also put pressure on such gatherings at regular intervals for the benefit of their pets as well for them. “I came with my Labrador for the first time in the party and he became friendly after get along with the other dogs. Such parties will be beneficial not only for dogs but for owners like us to interact and learning new things in caring,” said Palak one of the dog owner comes to the pool party.